If you’re not using Google Ads for your Dropshipping or Ecom business in 2019 then you’re leaving money on the table. The cheapest and easiest ad platform right now is Google Ads. But, I see lots of people trying to set up Google Ads on their store and wasting tons of money on methods that don’t work. Look… You can’t just setup Google Ads, run a campaign and hope for the best. You’ll 100% fail if you do this. Option 1: Try running Google Ads yourself and likely spend the rest of this year losing money by testing what works. 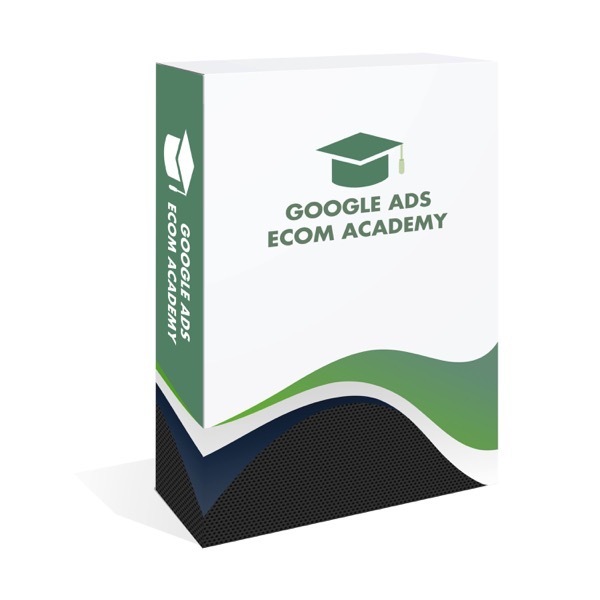 Option 2: Learn my Profitable Google Ads method in the next 30 days and be coached by a certified Google Ads Specialist (me). You’ll be able to skip the massive cash loss in learning yourself. How to setup Google Ads the correct way so your ads are profitable and compliant (so you don’t get banned). My secret method to quickly finding winning Dropshipping products that sell like hot cakes on Google Ads. How to rapidly test products without wasting money on unprofitable products. How to scale your campaigns to over $1,000 per day using horizontal scaling and automated bidding strategies. 1: Store Setup | How to design a high converting store for Google Ads that creates a buying frenzy: store layout, product descriptions, pricing and consumer psychology. 2: Store compliance | How to setup your account to make sure your Google Ads account doesn’t get suspended or banned. 3: Product Research | My unique product selection methods and criteria for finding winning products for Google Ads. 4: Google Ads Setup| How to setup your Google Ads and Merchant account to ensure profitability: conversion tracking, Merchant Center syncing, item ID drills. 5. Google Ads Testing | 2019 updated Google ads testing method that allows cheap and effective testing of multiple audiences. 6. Shopping Campaign Mastery | Live walkthroughs of me setting up live campaigns and getting them profitable. 7. Campaign optimization | How to optimize your campaigns using: day scheduling, bid adjustments, location settings to make your ads more profitable. 8. Campaign Scaling Secrets| How to know whether a product can be scaled and my methods for hard and fast scaling. 9. Search Campaign Expansion | How to take your highest converting products and create search campaigns from these. 5. Google Ads Remarketing | An entire module dedicated to setting up and running dyanmic re-marketing ads that are based off your product feed. 10. Ongoing updates | If you want to learn more about a certain topic just let me know and I can make new videos on it.